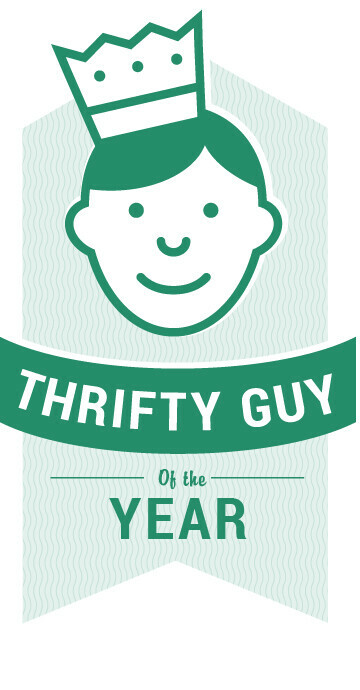 We are pleased to announce our 3rd Annual Thrifty Guy of the Year contest to recognize that special thrifty guy in your life or someone you know who exemplifies thriftiness in all aspects of their life. A little bit about the contest that starts today and ends on August 22, 2018 (at midnight). Please submit only one nomination for the thriftiest guy you know. In the nomination, please tell us in under 250 words why this guy is the guy. You can nominate yourself, but it means a lot coming from someone else. Please include your name, the thrifty guys name and your email (we may ask for the Thrifty Guy’s photo, if selected as our winner – but it is not required). Thrifty guy must be 16 years and older, a resident of the U.S. and would make us proud. One winner will be announced on August 23, 2018. Winner will receive $100 cash, free Tello Mobile service for the rest of 2018 (1GB, unlimited talk/text), Thrifty Guy of the Year official certificate, and most importantly, the pride of knowing he is (truly) the thriftiest guy around. One entry per person please. Please let us know if you have any questions in the comment section. Otherwise, nominate your thrifty guy today! Congratulations to 2018 Thrifty Guy of the Year: Ted S! A huge congrats to Ted for winning the 3rd Annual Thrifty Guy of the Year contest! He was nominated by his spouse, who named—among other things—that he knows the difference between being thrifty and cheap (a key characteristic of a true thrifty man!). Linden also said, “He can fix anything; if he doesn’t know how, he researches until he figures out how.” Thanks to all the entrants!